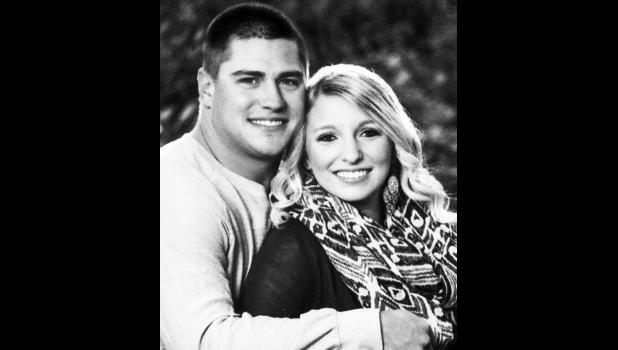 Janae Morris and Greg Nilges of Holton are pleased to announce their engagement and upcoming marriage. The bride-to-be is the daughter of Kirk and Diane Keeler of Wetmore and Roger Morris of Topeka. The future groom is the son of Greg Nilges of Overbook and Scarlet Nilges of Ottawa. Janae is a 2010 graduate of Jackson Heights High School and a 2014 graduate of Washburn University, where she earned a bachelor of science degree in nursing. She is currently employed as a registered nurse at Stormont-Vail Regional Medical Center in Topeka. Greg is a 2007 graduate of Santa Fe Trail High School and a 2011 graduate of Haskell Indian Nations University, where he received a bachelor of science degree in elementary education. He is currently employed as a second grade teacher at Jackson Heights Elementary School. Maternal grandparents of the bride are Pat Sheern of Holton, Ed Keehn of Soldier and the late Margaret Keehn. Paternal grandparents are Bob and Butch Morris of Topeka and Sonny and Helen Keeler of Whiting. Maternal grandparents of the groom are Charlie and Brenda Clark of Bullhead City, Ariz. and Rick and Chris Johnson of Ottawa. Paternal grandparents are Grace Nilges of Ottawa and the late Jim Nilges. A June 6, 2015 wedding is planned in Holton.